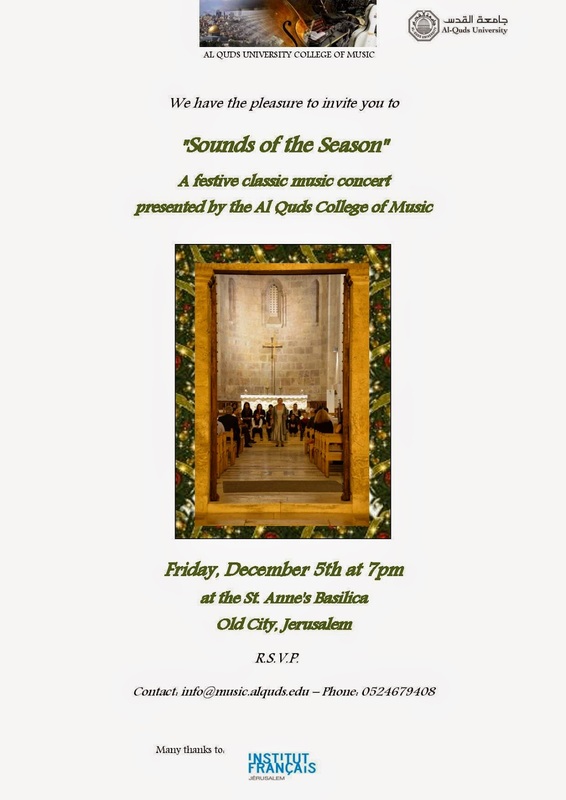 Al-Quds College of Music: TIME FOR "SOUNDS OF THE SEASON"! TIME FOR "SOUNDS OF THE SEASON"! St. Anne's Basilica in the Old City of Jerusalem! Händel, Liszt, Fauré and Messiaen.